Ready for the break? Time to take stock, relax, regroup and then think back through past teaching and formulate some future plans? Working with my current PGCE student to help them reflect on lessons they’ve thought I dusted off an old tool to aide self reflection. What % of a lesson is teacher talk time? What % of a lesson is students leading the learning? 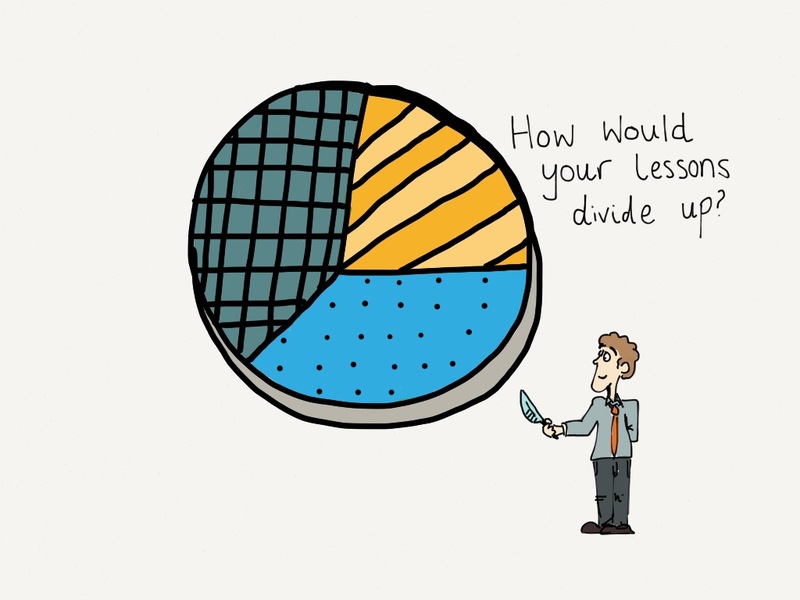 What % of the lesson is time to reflect on progress? What % of the lesson is used to assess progress? The video illustrates the idea. It’s an old activity, but a worthwhile one, either used to reflect with someone on a lesson just taught or a series of lessons being planned. Give it a go and see what discussions it starts!